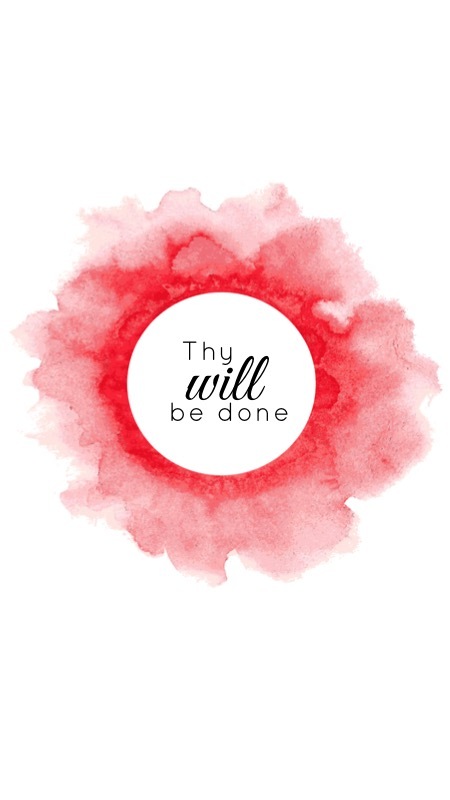 “Thy will be done” The prayer that never fails. Sitting in church this morning, we were discussing the Lord’s Prayer. One of the parts that stands out to me each time I repeat it, is “Thy will be done”. It reminds me of one of my favorite book series, the Mitford Series. Throughout any challenges, the main characters of the book always pray this prayer that never fails. And I needed the reminder for the week – so here it is for you too! I pray it’ll bring you as much comfort as it does me. Save this image to your phone and enjoy! Stop by the blog every Sunday for a new phone wallpaper!